pokerstars or 888poker which is better? Similar Threads for: pokerstars or 888poker which is better? Good Question but you should develop it! What do you mean by Best Option? Which site gives a better Deposit Promotion? Which site Has so many Fishes in? Which site has a better loyalty programme? Which site holds the biggest Rewards or Buy ins? Whic site is Rigged? Define what's best for you and may be you could join both and try to understand their mechanisms and their promotions and deals. Hi, you should check the threads of the forums where there is already the same question. 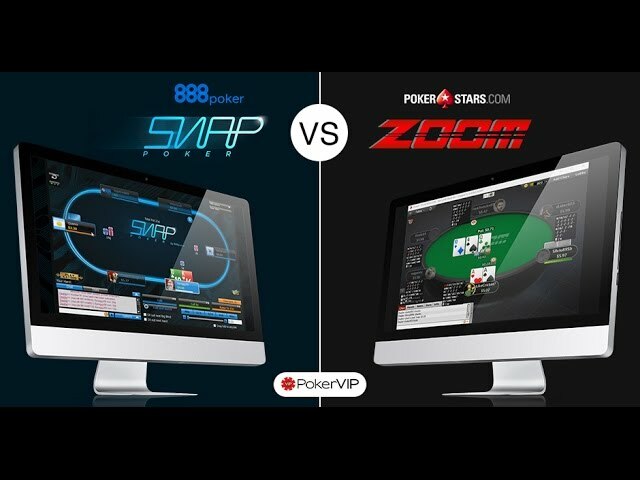 The two rooms in my opinion are very good .... each one has its advantages, however particlarmente I prefer 888 poker by the designe of the software and also the field. I prefer PokerStars, but sometimes, I play 888. I prefer 888, why ? Both places are great poker sites. I play PokerStars but sometimes I play 888 poker, in poker room 888 poker there are so many good freerolls and players less on freerolls if I take tournaments the same for 0.01 cents in 888 poker players 1500 players and in PokerStars 2500 and more, in 888 there are normal tournaments with your level that you fill and what will be higher your level and prizes in the tournament more and in PokerStars there are no such tournaments but there are others! Pokerstars is good when you do already crush the field, they get to fill cash game tables and tournaments with a large volume of players, but it is where sharks and regulars are in bigger amount. If you want to get some money, in most cases, pokerstars is -EV, but if you want to learn to playing, it is a way. Remember, anyway you will spend money with your learning, reading poker books, studying poker courses, making poker coaches or playing poker with stronger players. But if you want to get money, you have to play against weaker players and get more rakeback as much as possible and 888 do those two. i play both pokerstars and 888 poker. Now i am studying from pokerstars and cardschat school. Right now I play on both, but I prefer and will always prefer PS because I feel so relaxed there, people are ok, I feel somehow good at PS. 888 will give you ton of chances to win something, but in most cases, if you dont deposit any money, you can almost always win few cents up to few dollars every single day (depends). They have ton $0,01 cent tours with $0,10 tickets/$1 tickets and so on, ton of chances for beginners to build their bankroll step by step. Anyway, PS is, was and will be #1 option for a long time. 888poker lacks on many things - if Possible you should even avoid it. I've had issues with withdrawls and it takes them (the support) over 48 hours to reply to queries. I recently signed on to 888 Poker and I must say that so far I am enjoying the experience on that site very much. Not so many crazy plays like I see often on Pokerstars where people go into hands with absolutely nothing and end up winning. I play at 888 poker and Poker Stars. 888 Poker has some good value freerolls and there VIP system is not to bad depending on your club level status. Poker Stars will always be in 1st place because of traffic software and selection of tournaments. re: pokerstars or 888poker which is better? Hi This is my first Post on CardsChat Woohoo ! Well I have only play at Pokerstars And i think is the best for tournaments Also the software is super the best of all poker sites I think.. But I have heard a lot of 888Poker also and I think is the second best Poker site in traffic and software I'll be Opening an 888Poker Acount today and start playing there So I can give my best opinion by my own Experience! I do not think one room is much better than the other, it's only better known than the other. Both rooms have their own characteristics, pokerstars leads in terms of the number of games and players, ease of use and promotions for beginners, as well as a poker school in which a beginner has the chance to form, almost from scratch, his bankroll. 888 is better, because it,s easier to win there and also there are lots of freerolls, where you can build your bankroll from nothing. Here is the largest number of poker players. Not in one other poker room there are so many playing online poker, in the evening playing about 100 thousand players are playing. The playing field is weak. This is especially evident when playing on microliths, a lot of fish. Microlights are ideal for beginners. Depends what you are searching for. If you want to punt of and have some fun it doesn't matter the result will be the same in any room. If you want to make money then id say 888poker is a better option. Poker is getting tougher every day and people chose Stars because they see large numbers of traffic and many options witch is like a mirage, the reality is the field is the hardest in the world it always has been. At the end of the day you could make money in any room if you have the skills and put in the volume, but id always pick a softer room. So i'd advise you to take a pen and paper and write down what do you want to get/archived from the game and you'd have your answer. Have a nice day and run good at the tables. Peace! Pokerstars is better then 888poker. Obviously 888 cause in their freerolls it's so much easier to finish ITM compared to pokerstars and so on. I've been playing at pokerstars since I started at online poker, hence I'm so used to the interface that I really feel more comfortable when playing there. But I do like 888 too, been playing there from time to time and I think is the close second poker room there is. You don't really have to choose between one or the other, been using both of them and there is quite the selection of freerolls between the two to build a bankroll. Actually I'm banned on 888 poker like others players from Poland, therefore playing on PokerStars. I play Spin Go MAX on PS, because other sites don't have this format. I playing too MTT but big field on PS casued that I play only freerols with CardsChat and tournaments for which I won the tickets for free. Summarizing I prefer PokerStars. player base , anyway I am playing on both rooms and I think you should play on both rooms to and see were you wanna stick . re: Poker & pokerstars or 888poker which is better? In principle, they are almost equivalent . Of course Pokerstars has more field and games . But lately I like 888poker more . Pokerstars. 888 have a terrible refund policy. Whenever something happens, they might continue an MTT 3 hours later, without any warning or headsup whatsoever. The last week has been a nightmare. Their support team is terrible. I play Poker stars and 888,on Poker stars you have much more players and tournaments is so long when you play,on 888 poker you have a nice structure of tournaments,average tournaments ,end after 3,5 h,but poker stars have more tournament,so you can play on both sites ,both sites is good in my oppinion! In my opinion it's PokerStars. Much more variety in MTT's and better payout options imo. Pokerstars is the best site. Best for action. Nonstop action. The most tables all hours. I play on both stars and 888. PS got a larger player base and more MTTs, but its harder to increase the bankroll. What I really like at 888 is the Step system with buy-ins starting from as low as 1c and there is a good chance that you actually win the 10c tickets to progress. In the end it's does not harm to have an account on both. In my opinion, however, there are better pokerstars, because they are more quality and somehow simpler. I would have picked pokerstars before. It's a lot more transparent. 888 platforms are the worst one. That free $88 promotion's impossible to cash out. Both are very well structured. I believe there are more tournaments in 888. But I feel more comfortable playing at Pokerstars. All the informations seems to be more clear. better for me to PokerStars. I played there for a long time. Pokerstars for me all the way, it’s easy to use and I’m my opinion full of fish!